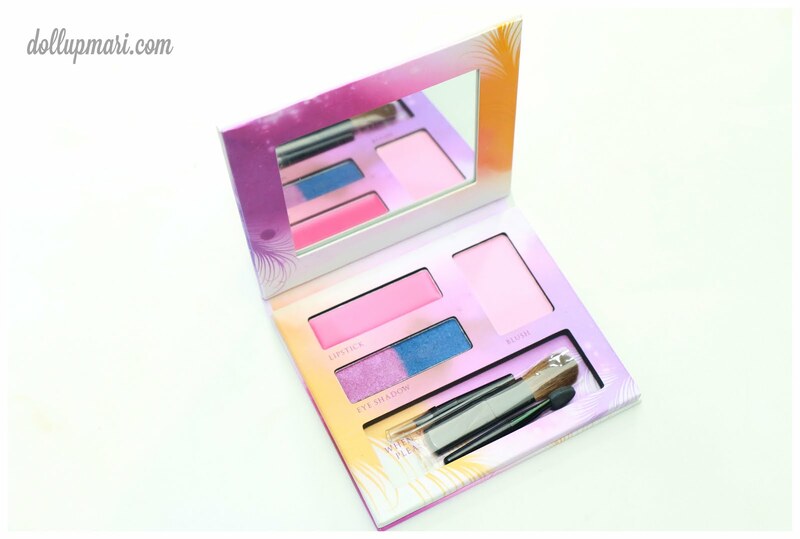 Personally, I think that combining lip products and powdered products in one pan is a bad idea because the powders are bound to get dusted onto the lip product, but on the other hand, I cannot deny how convenient these combinations can be. This is why I can't hate the idea altogether. 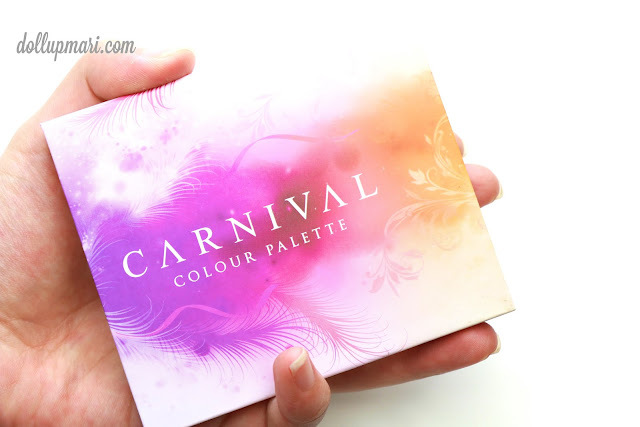 And I guess it's the reason why I love this color palette from Carnival Cosmetics. This is their Party color palette, made of two eyeshadows (combined in a single pan), a blush, and a lippie. 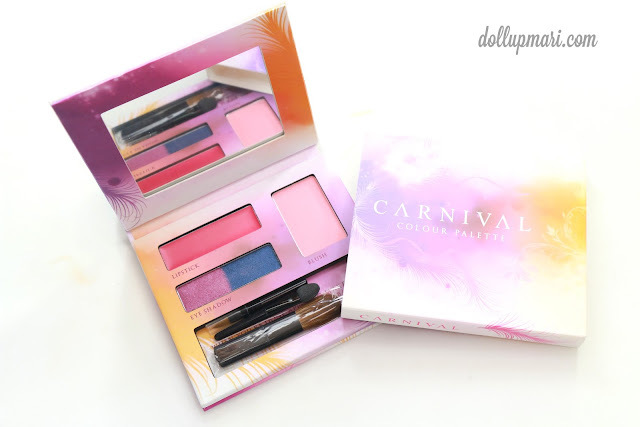 Since this is the 'party' palette, the eyeshadows are more for the evening look, the blush cool in tone, and the lippie a bright cherry pink. 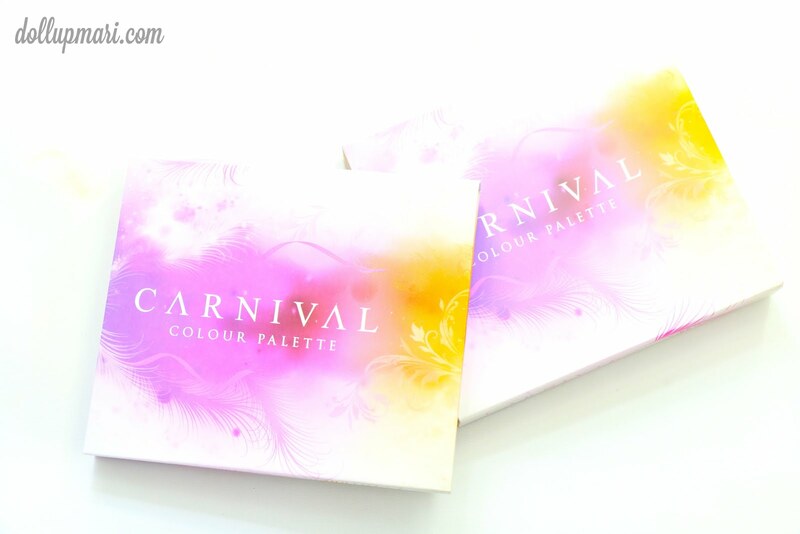 The packaging comes in a cardboard flap type of palette with a cardboard sleeve. The palette is magnetized so I think this baby will survive in most handbags without the sleeve, but I guess the extra protection from accidentally opening didn't harm anyone. As seen here, the set contains two eyeshadows, a blush, and a lipstick. The lipstick is 1.2g, the blush 2.4g, and the eyeshadow 1.8 g (technically the pan is 1.8g so each shade should probably be at about 0.9g). It also comes with a foam applicator, a lip brush and a brush which can multitask as eyeshadow and blush brush. For those concerned, here are the ingredients. Amusingly, there are no parabens in the formula. This is formulated in Italy and manufactured in Malaysia. I think they kinda wanted to address the worries that people like me had by having this plastic film over the product. 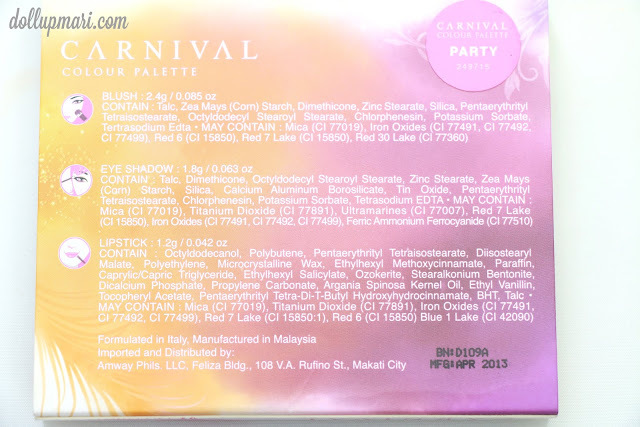 This is a bit thicker than the usual acetate sheet because it really is meant to be put back on the makeup after usage. I guess this kind of helps to keep dust from flying onto the lippie while in transit, but as far as when the product is being used, one just has to be careful in using the powdered products to make sure they don't fly onto the lippie. I kid you not with the replacing the acetate part because they specifically put these instructions in the palette. 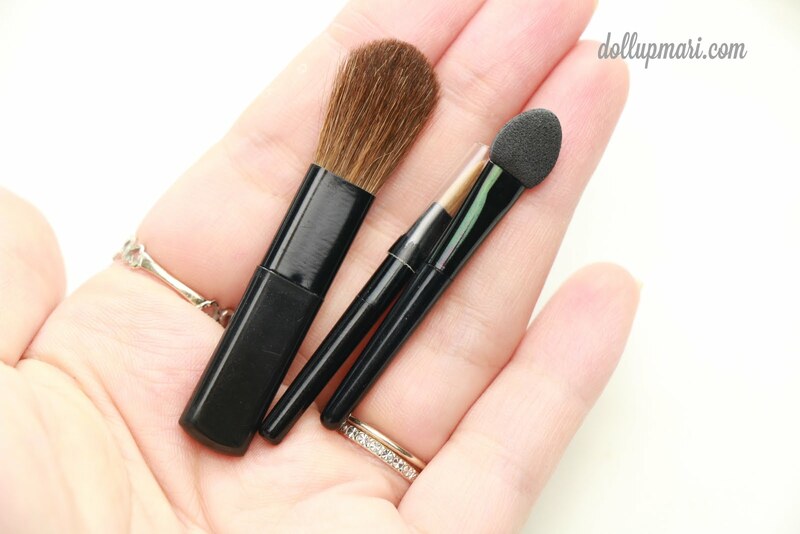 And these are the tiny brushes that the palette came with. This is the swatch of the products on my arm. One eyeshadow is a pearly violet, and the other a pearly navy blue. 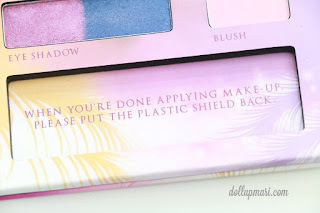 The blush is a cool light orchid pink, and I think this is suited to Pinoy skintones. I also think that the formulation was made with Pinays in mind as it goes on really sheerly. I know a lot of Pinays don't like to look like they have blush on their cheeks, so I think this is a nice way to add color without making it so apparent. The lippie is a nice color (it's got a cherry pink color), but I think it doesn't deserve to be called lipstick and would be better categorized as tinted lip balm. This is the blush on my cheeks. I think you can see that it's chalky, and this is good and bad at the same time. It's good because it 'coats' the skin, and it's bound to appear in a subtle manner in the cheeks of every possible skintone conceivable. I think it will never look loud or trashy on any skintone because it is meant to give a milky pink color to the area where it's applied on. The bad thing though is that it will need more blending, and with the finger application I did, as seen here, it's not perfectly even. Thankfully, the kit comes with its own blush brush so this is not a major roadblock. This is the lip color, and I really love the shade. As in it's perky, but at the same time, tame enough that I can wear this to most occasions without being too loud. Wear-wise, it's soft and very comfortable. It's not cakey, not hot on the lips (which is the case with super pigmented lipsticks), and stays moist for a relatively good amount of time. There must just be patience in application though as it takes quite some time before I got it this pigmented. I am actually really happy about the quality of the products as the eyeshadows are unbelievably buttery and pigmented, akin to Urban Decay eyeshadows actually. 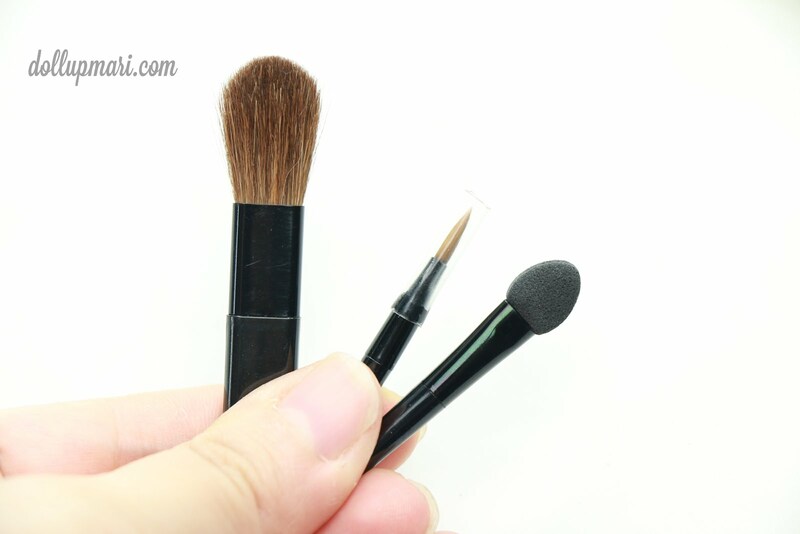 It's also easy to blend, but for looks involving more blending, it pays to have an eyeshadow base on so that the color won't fade. 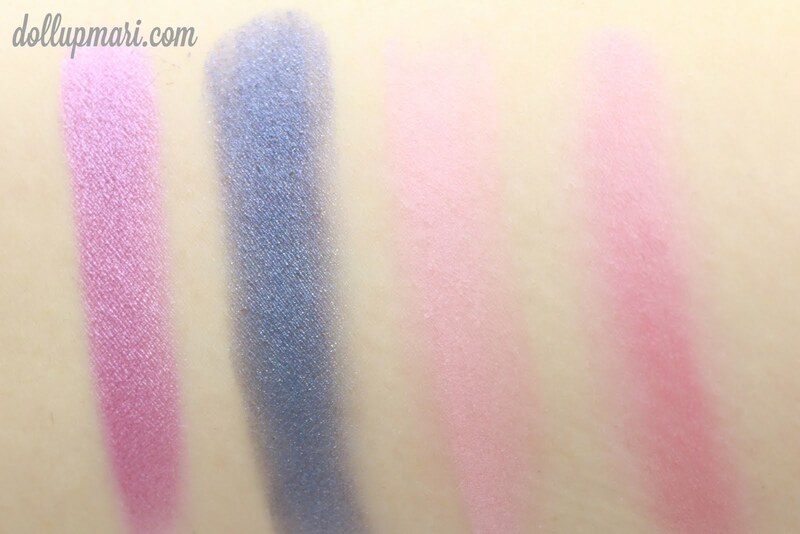 In terms of pan-to-skin conversion, the color payoff is very good, but it isn't too resistant to fading once blended. 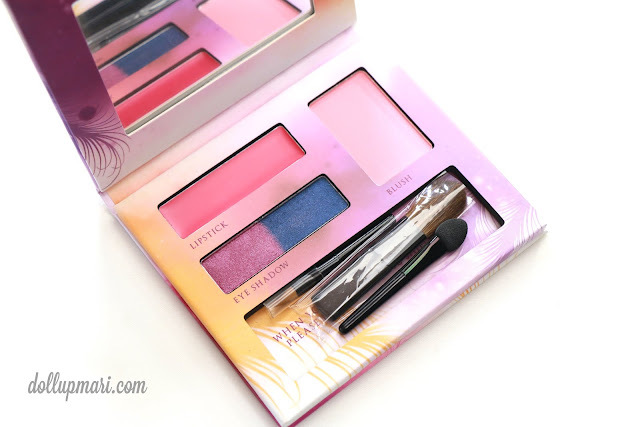 I think that the general concept is nice for a lot of women that you can take a lot of products with you in a small, lightweight palette; this is the kind of kit that will be perfect to serve as an emergency or retouch kit. For the eyeshadow part though, the eyeshadow colors will probably not survive by themselves-- for a complete 'party' look I think you'd need a browbone highlight color and a black/ dark brown defining eyeshadow, and some other colors depending on how OC you are. If you have good blending skills, you'd probably be able to make one or two eyeshadows work, too. Look at how compact it is . Overall, I honestly think that this is a high quality palette, but I find it quite pricey at Php750. I'm thinking that for the same price, I could already get two full sized eyeshadows and a blush from another brand, or like twice this price is already near Urban Decay Naked Basics' price. 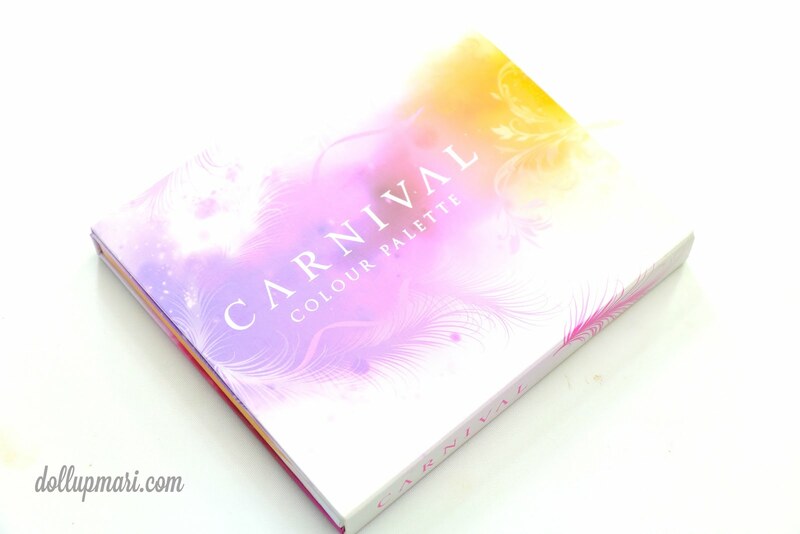 However, if you are interested in other Artistry products, you can become a member for Php1000 and receive a 30% discount, and at Php525, I think this palette will already be affordable.